I walk past this small garden of trees every day. 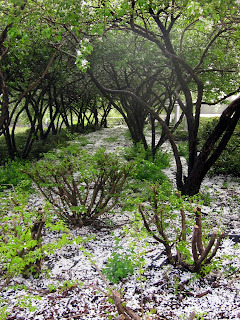 In the winter, they are bare and dark and the ground underneath their branches is covered with a white carpet of snow. 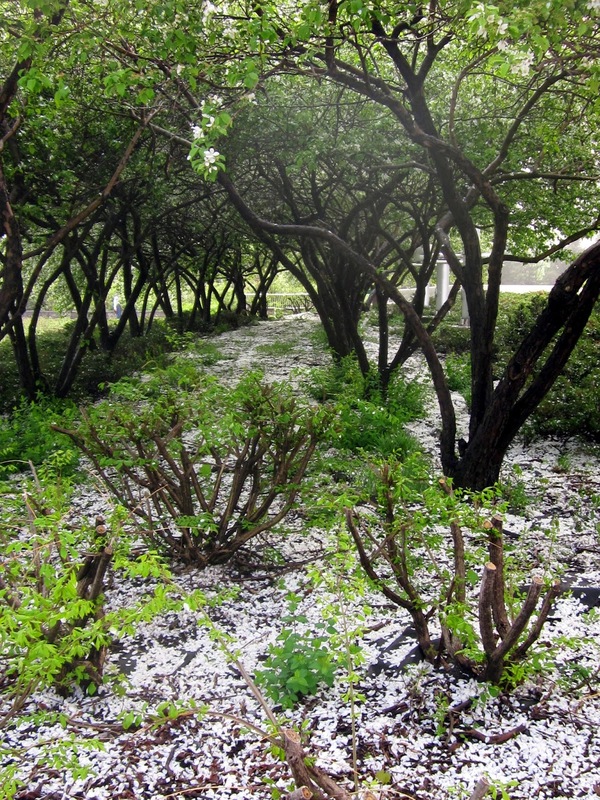 Today, spring is at its height and there was another kind of white carpet on the ground under the branches - a carpet of white petals that had fallen from the flowering trees. Enchanting! We experienced this on our trip to PA. The cherry trees were snowing on us! So fun!